Schedule: Click here for tentative schedule. Subject to change. 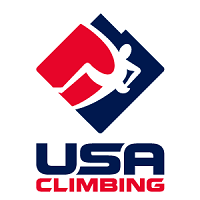 Waiver: All youth participants must have a Spire Climbing Center Waiver signed by parent or court-appointed guardian. Even if you or your child have been to Spire before please fill out a new waiver. Waivers expire after one year and participants won't be able to climb with out it. Please fill these out online here by Thursday Jun 16th, so that we can expedite the check in process. After submitting your online waiver, don't forget to confirm via your email address. Food: A food truck (Tumbelweeds) will be provided for lunch hours 11:30am - 1:30pm both Saturday and Sunday. Snacks and beverages can also be purchased at Spire. Lodging: The following hotel accommodations have been provided for Divisional participants. Please reserve well in advance as June is the beginning of tourist season in Bozeman and hotel accommodations are hard to come by.